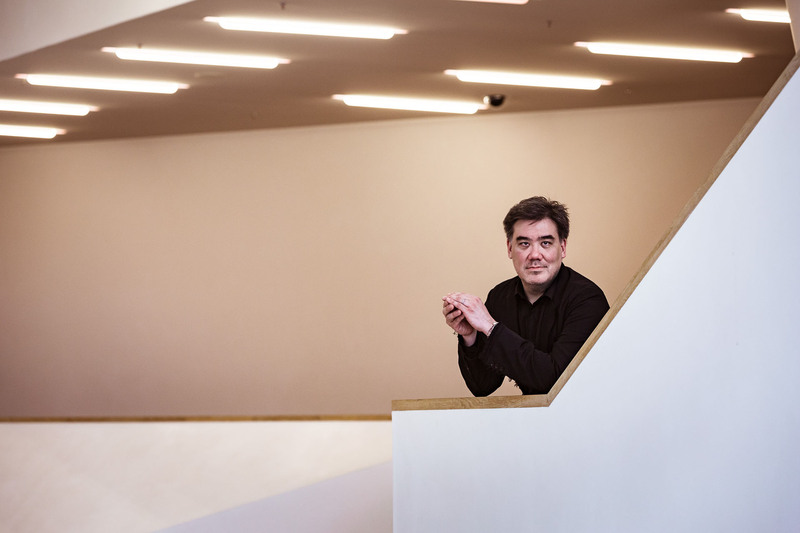 Alan Gilbert looks forward to launching his tenure as the new Chief Conductor of Hamburg’s NDR Elbphilharmonie Orchestra in September 2019. 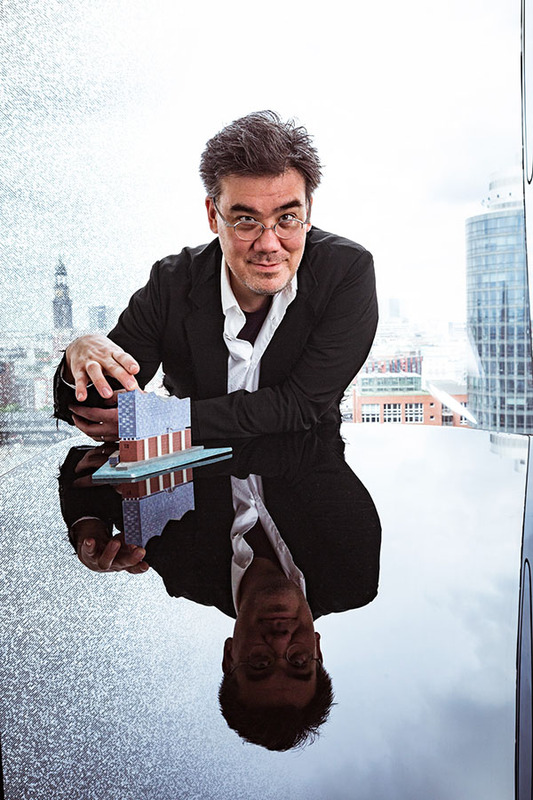 The Grammy Award-winning conductor previously served for more than a decade as Principal Guest Conductor of the ensemble when it was known as NDR Symphony Orchestra Hamburg; it has since adopted the name of the Elbphilharmonie, its already-iconic new home. 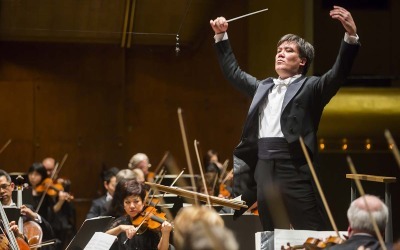 Gilbert’s new position follows on the heels of his truly transformative eight-year tenure as Music Director of the New York Philharmonic, where he was the first native New Yorker to hold the post, making “an indelible mark on the orchestra’s history and that of the city itself” (New Yorker), “building a legacy that matters and … helping to change the template for what an American orchestra can be” (New York Times). 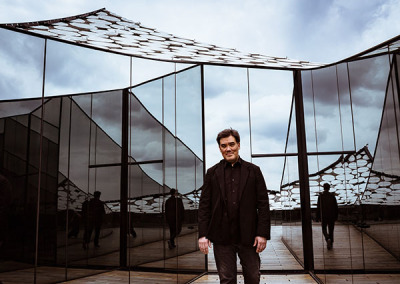 Gilbert is also Conductor Laureate of the Royal Stockholm Philharmonic, where he was Music Director for eight years; Principal Guest Conductor of Japan’s Tokyo Metropolitan Symphony; and the founder and president of Musicians for Unity. With the endorsement and guidance of the United Nations, this new organization will bring together musicians from around the world to perform music at critical times in support of peace, development, and human rights, celebrating the power of music to build bridges and unite people across borders. In addition to these appointments, Gilbert maintains a major international presence, making guest appearances with orchestras including the Berlin Philharmonic, Royal Concertgebouw Orchestra, Cleveland Orchestra, Boston Symphony Orchestra, Philadelphia Orchestra, Dresden Staatskapelle, and Orchestre Philharmonique de Radio France. 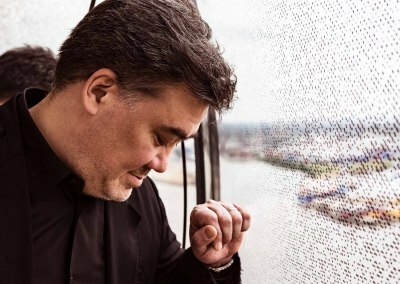 He has led operatic productions for Milan’s La Scala and the Metropolitan Opera, Los Angeles Opera, Zurich Opera, Royal Swedish Opera, and Santa Fe Opera, where he served as the inaugural Music Director and conducted repertoire including Carmen, Eugene Onegin, Falstaff, and Peter Grimes. In August 2015 he led the Mahler Chamber Orchestra in the U.S. stage premiere of George Benjamin’s Written on Skin as part of the Lincoln Center–New York Philharmonic Opera Initiative. 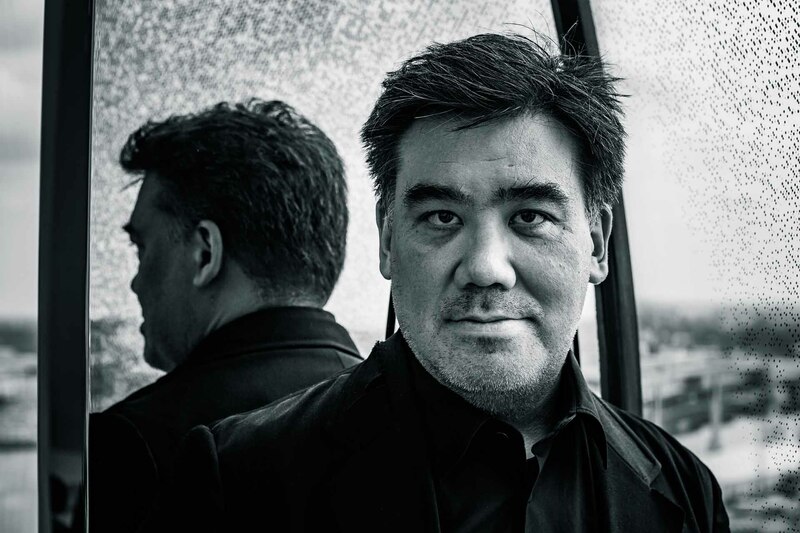 With programs featuring ten symphonies and three operas in ten countries across three continents, Gilbert’s full 2018-19 season showcases something of the extraordinary breadth of his range. 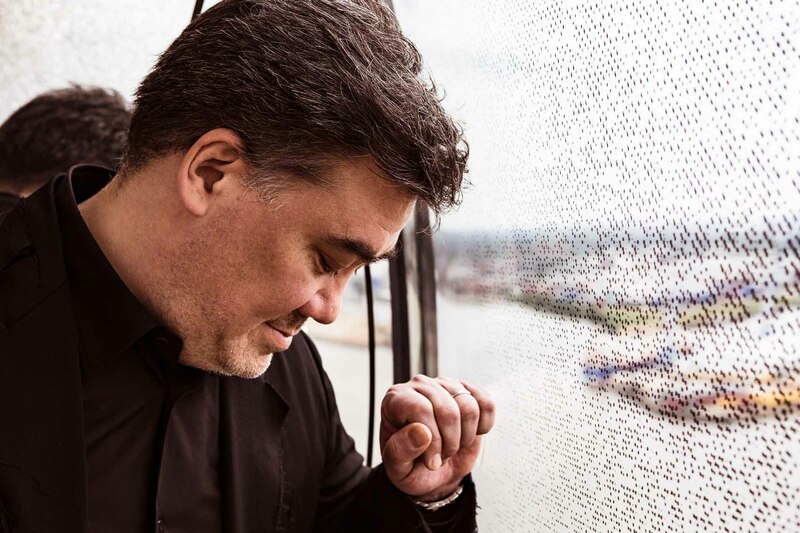 With the NDR Elbphilharmonie Orchestra, he leads concerts and a semi-staged production of Ligeti’s Le Grand Macabre, and embarks on an extensive Asian tour. For his sole U.S. appearances of the season, he returns to the Cleveland Orchestra for Haydn and Busoni. Elsewhere, besides making his Israel Philharmonic debut with a ten-day residency, he rejoins the Royal Stockholm Philharmonic and Tokyo Metropolitan Symphony, gives his first performances in a decade with the Zurich Tonhalle and Vienna Symphony orchestras, and reunites with some of the other world-class ensembles with which he enjoys strong ties, namely the Berlin Philharmonic, Leipzig Gewandhaus Orchestra, Staatskapelle Dresden, Bavarian Radio Symphony, and Orchestre Philharmonique de Radio France. 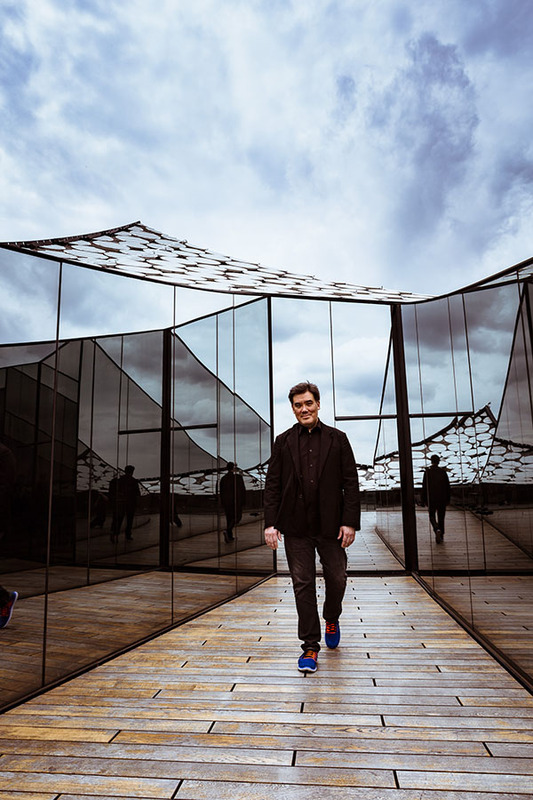 Beyond the concert hall, he conducts rarely staged 20th-century operas by two very different Viennese composers, making his Dresden Semperoper debut with a new production of Schoenberg’s Moses and Aaron and returning to La Scala for Korngold’s Die Tote Stadt. 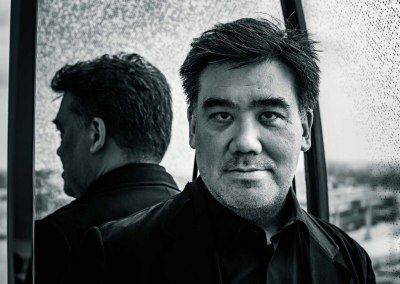 As well as making his first appearances as Chief Conductor Designate of the Hamburg orchestra with performances of Mahler’s epic Third Symphony, Gilbert returned last season to the podiums of the Berlin Philharmonic, Leipzig Gewandhaus Orchestra, Orchestre de Paris, Orchestre National de Lyon, and Staatskapelle Dresden, with which he toured China. Back in the U.S., he reunited with the New York Philharmonic, helming the orchestra’s 175th birthday celebrations and leading two all-American programs in its Centennial Festival for Leonard Bernstein; the Boston Symphony Orchestra, with which he and violinist Leila Josefowicz reprised their celebrated account of John Adams’s Scheherazade.2; and the Cleveland Orchestra, where his recent collaboration succeeded in “evincing levels of comfort and mutual understanding enjoyed only by the initiated” (Cleveland Plain-Dealer). He concluded the season at the Royal Swedish Opera, where he conducted Der Rosenkavalier. 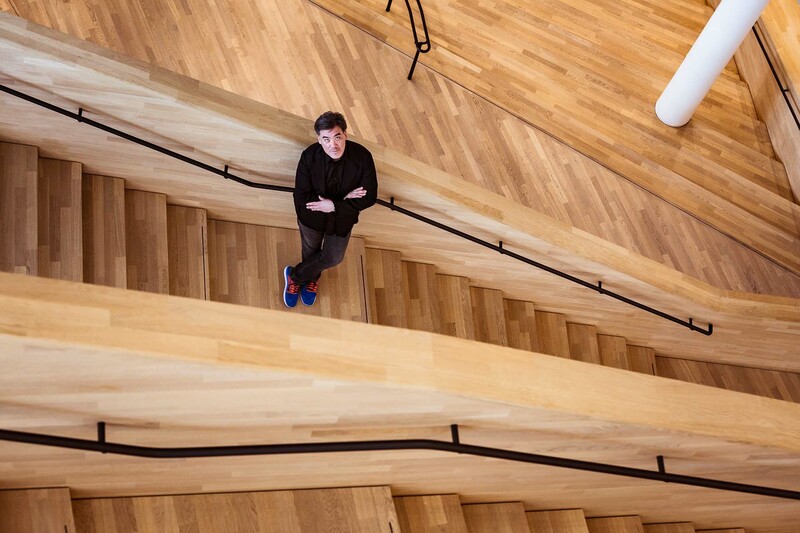 In eight years as Music Director of the New York Philharmonic, Gilbert succeeded in transforming the orchestra, already one of the nation’s most venerable arts institutions, into a leader on the cultural landscape. He initiated the positions of Marie-Josée Kravis Composer-in-Residence, Mary and James G. Wallach Artist-in-Residence, and Artist-in-Association. Staged productions of Ligeti’s Le Grand Macabre, Janácek’s Cunning Little Vixen, Stravinsky’s Petrushka and Honegger’s Joan of Arc at the Stake were presented to critical acclaim and capacity audiences, and he oversaw the development of two series devoted to contemporary music: CONTACT!, introduced in 2009, and the NY PHIL BIENNIAL, an exploration of today’s music by a wide range of contemporary and modern composers, which was inaugurated in 2014 and returned in 2016 to a fanfare of critical approval. The eighth and final season of Gilbert’s tenure, which also marked the Philharmonic’s 175th anniversary season, both honored their shared hometown and celebrated this extraordinary legacy. 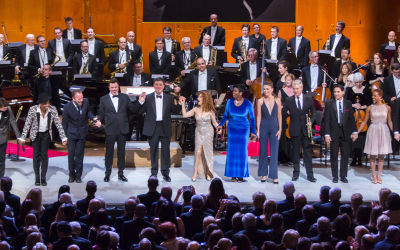 “A Concert for Unity,” his final subscription performances at David Geffen Hall, featured the Philharmonic playing alongside 22 international musicians, representing orchestras in Australia, Brazil, China, Cuba, the Czech Republic, France, Germany, Iran, Iraq, Israel, Japan, Mexico, Russia, South Africa, South Korea, Sweden, Turkey, Venezuela, the United Kingdom, and the United States. Highlights of Gilbert’s recent European guest conducting engagements saw him make his staged operatic debut at La Scala with a new production of Porgy and Bess; reunite with the Academy of St Martin in the Fields to complete their recording of Beethoven’s complete piano concertos with Inon Barnatan; and make his first appearances with the London Symphony Orchestra, where his program included works by Carl Nielsen, a composer he has consistently and ardently championed. His recording of the Danish composer’s Third Symphony, made with the New York Philharmonic for their four-album box set as part of “The Nielsen Project” on Denmark’s Dacapo label, was chosen as Gramophone’s favorite recorded version of the work. 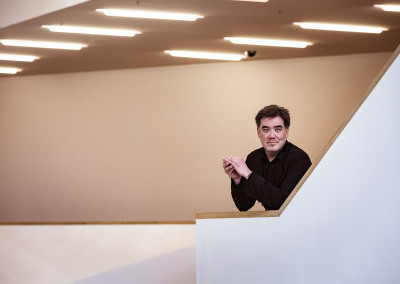 In September 2011 Alan Gilbert became Director of Conducting and Orchestral Studies at the Juilliard School, where he was also the first holder of Juilliard’s William Schuman Chair in Musical Studies. 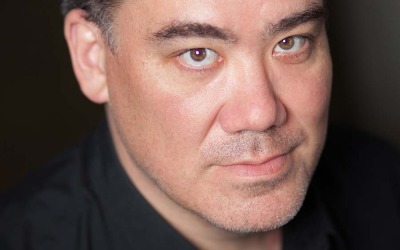 He made his acclaimed Metropolitan Opera debut in 2008, leading a production of John Adams’s Doctor Atomic that, when released on DVD, went on to win a Grammy Award. He also conducts on Renée Fleming’s Grammy Award-winning Decca release, Poèmes, and was nominated for the 2015 and 2016 Emmy Awards for Outstanding Music Direction in PBS’s Live from Lincoln Center broadcasts of two New York Philharmonic productions: the orchestra’s celebrated staging of Sweeney Todd, and its 100th-birthday gala tribute to Frank Sinatra, which featured Christina Aguilera, Bernadette Peters, and Sting. Gilbert received Honorary Doctor of Music degrees from the Curtis Institute of Music (2010) and Westminster Choir College (2016), as well as Columbia University’s Ditson Conductor’s Award, which recognizes his “exceptional commitment to the performance of works by American composers and to contemporary music,” in 2011. Elected to the American Academy of Arts & Sciences in 2014, he has now also been named an Officier de l’Ordre des Arts et des Lettres by the French government. He gave the 2015 lecture for London’s Royal Philharmonic Society during the New York Philharmonic’s European tour, speaking on “Orchestras in the 21st Century – a new paradigm,” and received a 2015 Foreign Policy Association Medal for his commitment to cultural diplomacy. 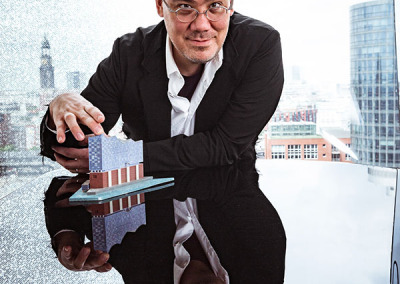 NDR Elbphilharmonie Orchester starting 2019/20.